DVO is probably one of the most recognized suspension companies, that most people have never ridden. Sort of like Lamborghini, everyone knows when they announce a new car, but not that many people will actually ever own one. Lucky for us, DVO’s forks aren’t quite as spendy as those Italian supercars. Their stylish looks and overall finished appearance however, still offer that same elite-level image and lustful desire. We tested the DVO Diamond D1 for several months last fall and were excited to throw it on a couple of our test bikes. 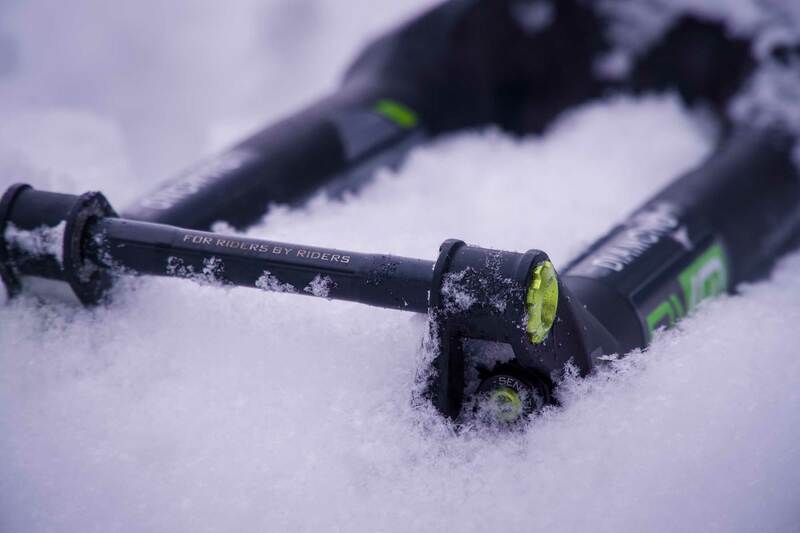 We’d only been able to spend short rides on DVO products at media camps so we were excited to have a long-term test period on one of their forks. 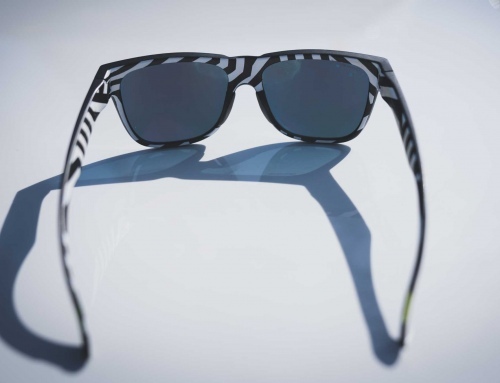 Custom is king and DVO are well aware of mountain biker’s nature to modify whatever they own. For this reason DVO are ahead of the game when it comes to online service, set up techniques and general 411. Long time suspension guru and DVO employee, Ronnie Dilan, AKA Tech-Ron, even has a tuning tips section on DVO’s website. Want to learn about cavitation, digressive vs. progressive damping or setting up your fork for various types of terrain you may encounter during an upcoming road trip? Tech-Ron’s got you covered. 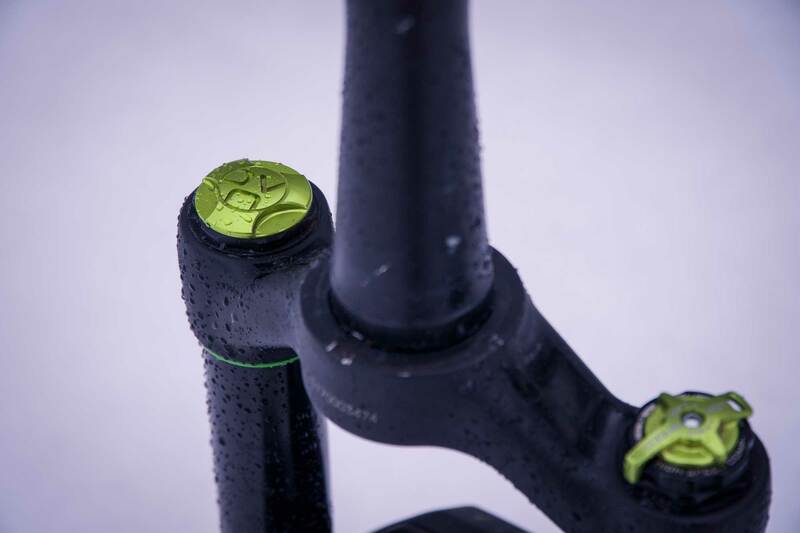 By learning more about your fork, you’ll be able to take advantage of all the adjustability DVO offers. The new Diamond hosts several impressive features inside its redesigned, Boost chassis. 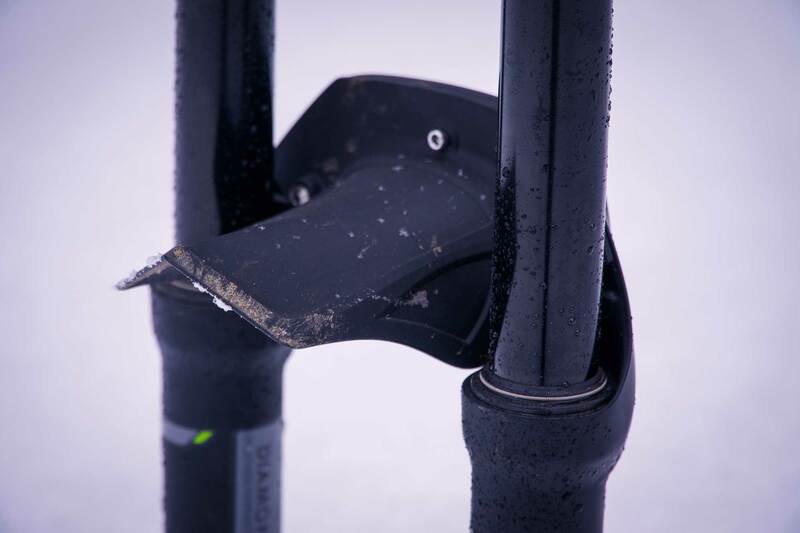 The fork is now offered in two crown offsets, two wheel sizes and travel from 140-170mm. DVO’s site has a great diagram showing their piston technology, which we’ll display here. It highlights the heart of DVO’s system. DVO claims that by tuning the shim stack they can offer everything from suppleness to progression and support. To combat the hydraulic locking sensation experience on orifice damper forks, DVO has custom-designed how the oil will flow through the piston and shims. By using this design, DVO claims their forks can better react to impacts at varying speeds because the oil can flow at the speed at which an impact occurs. 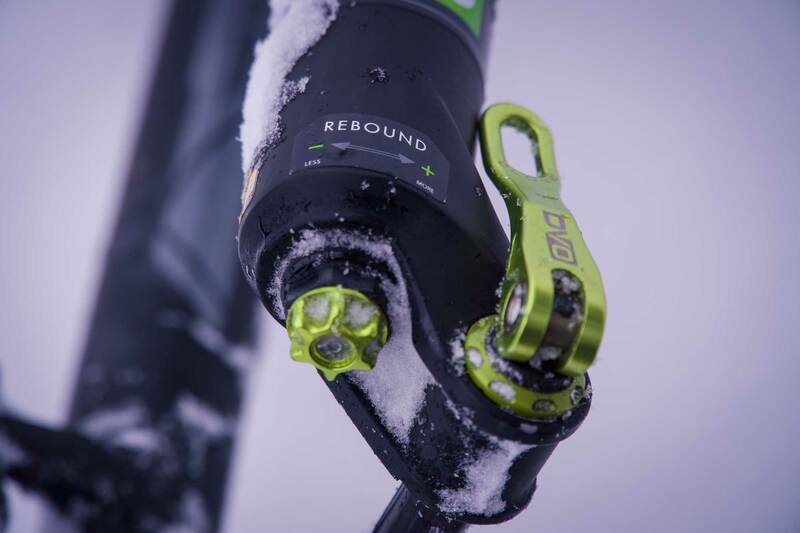 One of our favorite features of DVO’s forks is the OTT (Off The Top) technology. This allows riders to customize the first 70mm of travel with little to zero affect on the rest of the travel’s performance. To make these adjustments you must remove the air from your fork and use a 5mm Allen key. If you’re a light rider who wants a firm fork but get sore hands on washboards, just soften up the initial stroke and keep charging! If you’re heavier, use less OTT for more support. It’s a really nice feature as I suffer from hand fatigue on long descents. 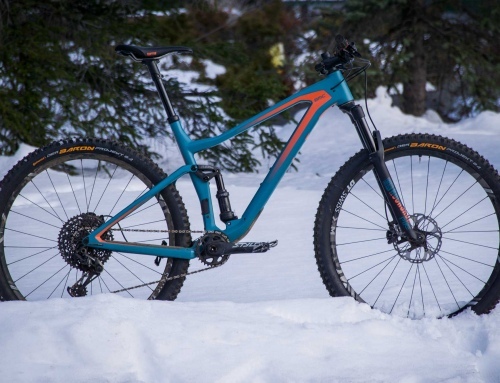 Our first test mule for the DVO Diamond was a Mondraker Foxy, you can read the review here. It was a great platform for our initial rides because it took a bike that had some harshness at our local bike park and notably improved the ride. From there we mounted the fork to a BMC Trailfox and Trek Slash. We had a few different riders spend time swapping back and forth for two solid days of bike park testing and then let each of them take the fork home for some extended testing on their regular trails. Without a doubt the fork boasted some of the smoothest performance of all the forks we’ve ridden. While some forks feel more like a stiff, tuned race car that only performs well at race pace, the DVO rides like a Cadillac-built trophy truck. It’ll perform, it just won’t beat you up on days you want to cruise. 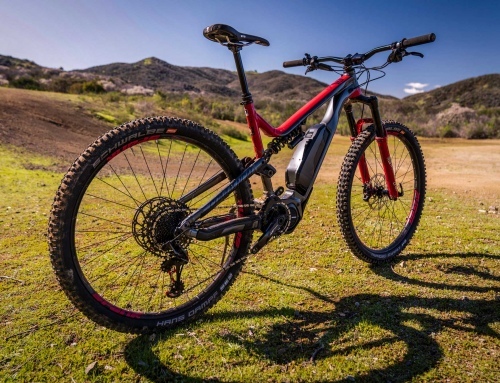 If you’re under 180lbs or ride trails with intermittent chop, you may notice initial hits take a little bit more force to activate your Fox or Rock Shox fork at lower speeds. The DVO is exactly the opposite. It traces the ground effortlessly and keeps the front tire comfortably in control no matter how loose the terrain is. DVO’s OTT technology is truly impressive. I’m personally a fan of suspension that has a buttery smooth and supple initial stroke but offers strong support and an aggressive ramp towards full travel. DVO products definitely cater to riders who love tuning and modifying their suspension, so it was really easy to achieve my dream set up. 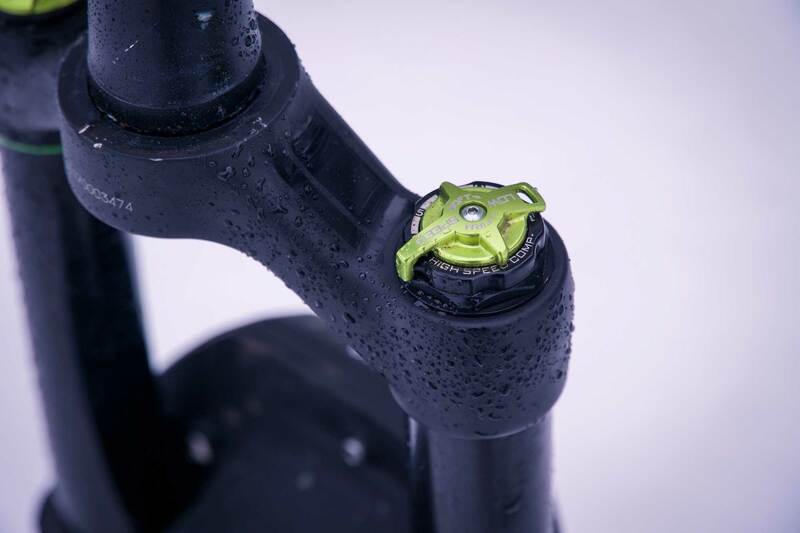 The fork’s high speed compression circuit offers 30 clicks of adjustability and low speed has six. The dynamic shim stack controls the rebound so the fork retracts as fast as it needs to based on the speed of your riding and impacts. 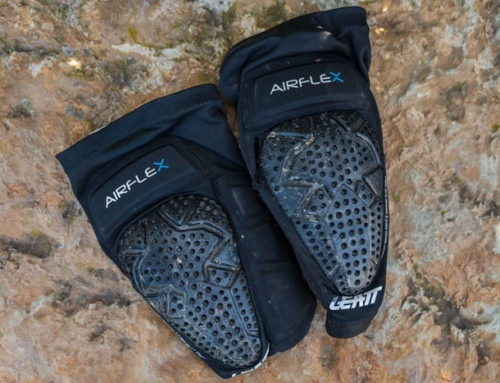 It’s a solid system that offers great performance on the trail. Since we had the fork set up for DH performance and eating up the chuny bike park trails we were riding, it wasn’t quite set up for as a stiff flow trail fork. There are always trade offs and while you can make tuning changes to the DVO, we believe the same thing that makes it so sensitive and great, will also be a turn off for the jump crowd. It’s definitely geared more towards the hard charging trail riders who live for descending the rowdiest stuff they can find. Without a doubt the DVO Diamond D1 has won us over. It is a supremely plush yet stable fork that will work for a wide variety of riders. The ideal consumer for this fork would be a rider who knows what he likes. If you can describe the way you want your fork to behave in different scenarios then DVO’s products are made for you. They genuinely want their customers to log-in, chat them up and open their forks to customize the tune to their heart’s content. 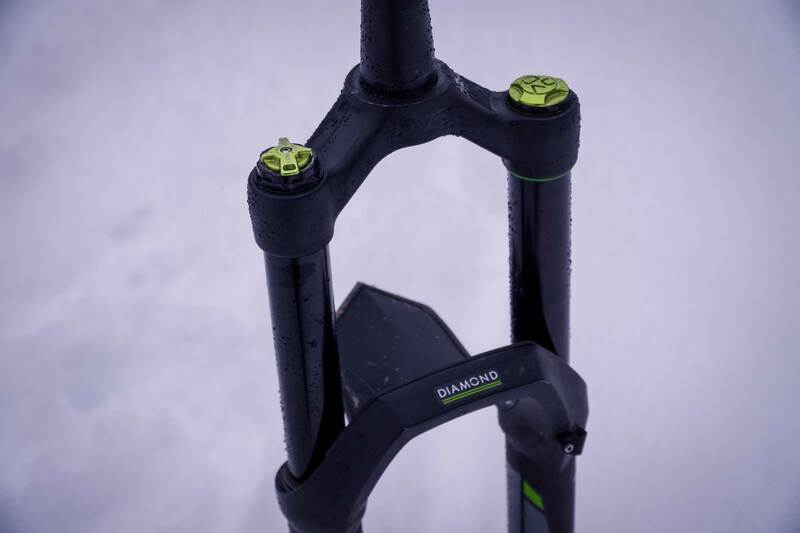 It handily tackles rough trails and the impressive Off The Top technology makes those first 70mm of travel your best friend. DVO has done a great job creating a mystique and lust-worthy image with their stripper inspired names and beautiful looks.